I Love anything you can put into a pie whether it's sweet or savory. this one up the other night and it was sure yummy. Preheat oven to 375 degrees. Place one of the crusts in the bottom of a round casserole dish, set aide. In a large bowl combine the soup and milk. Stir until well combined. Mix in spices, cooked chicken and veggies. Spoon in chicken mixture into pie crust, cover the top with the second pie crust and crimp edges to seal. Cut slits into top of crust. Bake for about 45 to 60 minutes or until golden brown on top. This is such a yummy meal, even the pickiest of kids will eat it. your walls are ever before me, says the Lord. I was honestly just thinking about chicken pot pie, and there was your post. It sounds wonderful. I bought a nice chicken yesterday from vitamin cottage (I wanted to get a nice healthy one for Steve), and I was going over in my head what to make... this is still on the list, but I am about go ahead and start cooking it, and hopefully by the time its done I will have made up my mind. I love your post and the pic of Marshall; I love that he helped you. Its good for boys to help Mama in the kitchen. Happy New Year to you and Barry and the boys from all of us. You are so right! 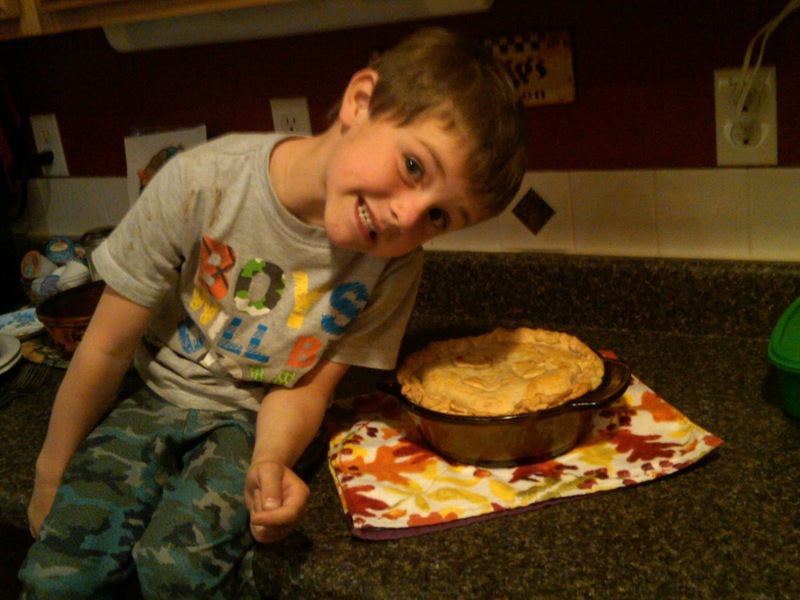 Any kind of pie is WONDERFUL! And this one loooooks DIVINE! I have been busy packing and getting ready to move this weekend and all I want to right now is to get fully moved in and CHAT and BLOG and CHAT and BLOG hehe. I can't wait to return to a normal routine again. All this to say, I have missed you and I couldn't help myself but sneak over here real fast to get a snippet of what was happening with you all. Happy New Year sweet Amy! Many blessings to you all this year! I love you!!! Yes please. I love a good chicken pot pie. Such a great change for around here! 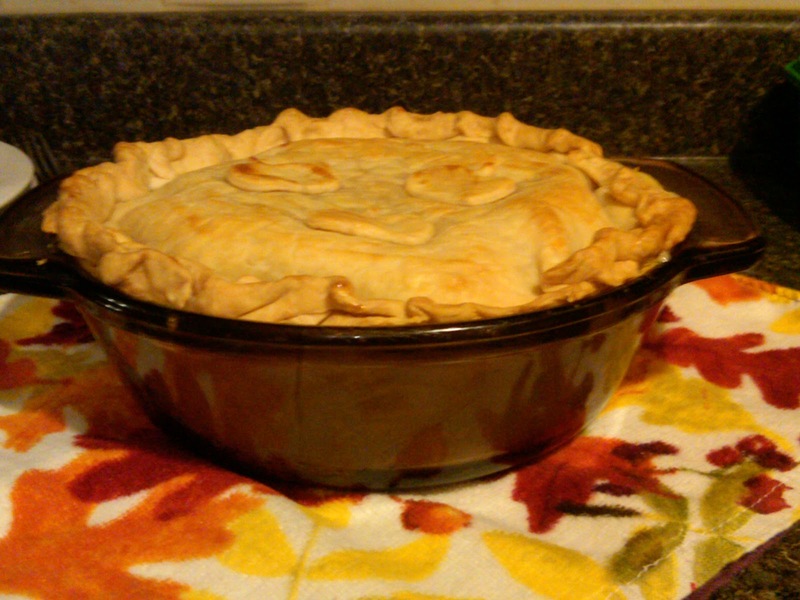 I made a turkey pot pie after thanksgiving and I realized I need to make this more! It was so cozy and such a comfort food! This looks so good. My hubby would probably want me to line a cookie sheet with pie crust, put on filling, then add another crust. He loves the crust!